A triple anti-UV protection, anti-pollution and antioxidant thought to the life and beauty in town! Improve the texture and tone of your skin, while benefiting from the best anti pollution protection against free radicals. A perfect environment and a nourished skin in the middle of city! Protects the skin against the emerge of dark spots and premature skin aging, preserving the youthfulness and shine of the skin. An ultra-light SPF50 sunscreen that forms an invisible but powerful film, making it ideal for application over your daily care. 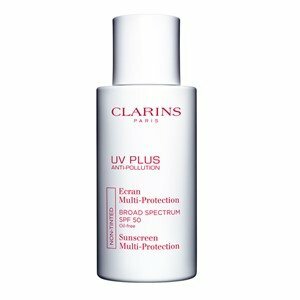 Protects against UVA-UVB rays, pigmentation spots and complexion darkening. It also provides a high anti-pollution and antioxidant protection that prevents premature skin aging! Apply on the face and neck using gentle movements, after your usual day care, before makeup.